Jennifer McMurray is the president and founder of West Elmira Computers Museum. She started the museum from her collection, as she has been an avid gamer since she was a child. She has taken on many roles in the video game industry, including information technology, quality assurance, programming, writing, art, animations, music, foley, direction, community moderation, and video game journalism. She provided quality assurance for Sierra, Double Fine, Daedalic, and The Sleeping Machine, and was a community moderator for Telltale and Double Fine. 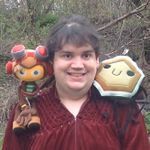 As a video game journalist, she has written for Adventure Gamers, Adventure Lantern, The Adventuress, Arcade Heroes, Consolevision, DC Emulation, DC Evolution, DCEmu UK, The Dreamcast Junkyard, Dreamcast-Scene, Dream On, Emulation Camp, The International House of Mojo, Retrogames, Vintage Gaming, and Zophar's Domain. She has also contributed to articles for Retro Gamer magazine. She also contributed to open-source game projects, including ScummVM, ResidualVM, OpenBOR, and the Amnesia Fortnight community games Bad Golf: Community Edition and Pongball. She created an emulator project entitled Little Arcade Machine Emulator Releases, or LASER, based on, with permission, Mike Green's Sinvader. She created several open source games which can be found on her Itch.io page. She also was the project leader and co-project leader, respectively, of two other Amnesia Fortnight community games: The Lost Dev Team and Amnesia Adventure. This page was last edited on 30 March 2019, at 07:20.